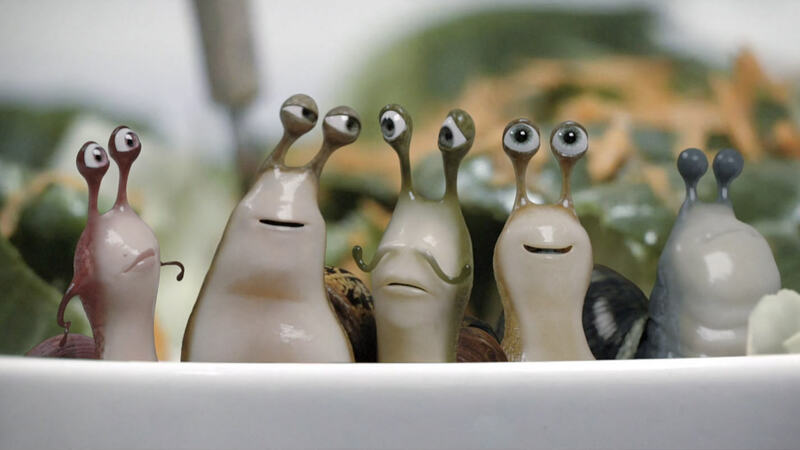 [ #Animation ]AUCKLAND, NEW ZEALAND -- Directed by Media Design School lecturer Oliver Hilbert, Escargore tells the tale of Claude and his friends, who find themselves out of their element and in a whole lot of trouble when they choose the wrong lettuce for lunch. Now they must inch their way out of this world of horrors before they end up on the menu! Escargore is the latest short film from Media Design School's Bachelor of Art and Design third year students. The project took a group of 22 students, specializing in Technical Direction, 3D Animation, and Visual Effects, about 4 months of intensive work to complete. Escargore has already experienced success at numerous overseas film festivals, winning Best Animated Film at the Idaho Horror Film Festival; Best Film Award at the Geek Short Film Festival 2015; and the Best Character category at the 2015 animago AWARDS. The film has also been selected to screen at SIGGRAPH Asia 2015 in Kobe, Japan, where director Oliver Hilbert will deliver a lecture at the Education Symposium on the student-led production processes involved in making this film.